In 2001 the Maiyoo Keyoh set out to demonstrate to itself, the Crown and Industry that the family’s use and occupancy of their ancestral family territory is alive and well. 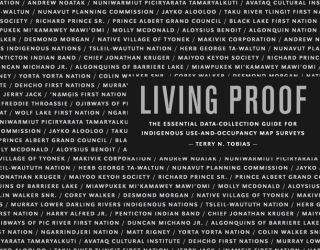 In 2003, the society contracted Terry Tobias, Terry interviewed 26 users who mapped and recorded over 3000 use and occupancy sites. Maiyoo Keyoh Use and Occupancy is not static, it is dynamic and in 2012 the Maiyoo Keyoh updated its use and occupancy with another 1000 sites. 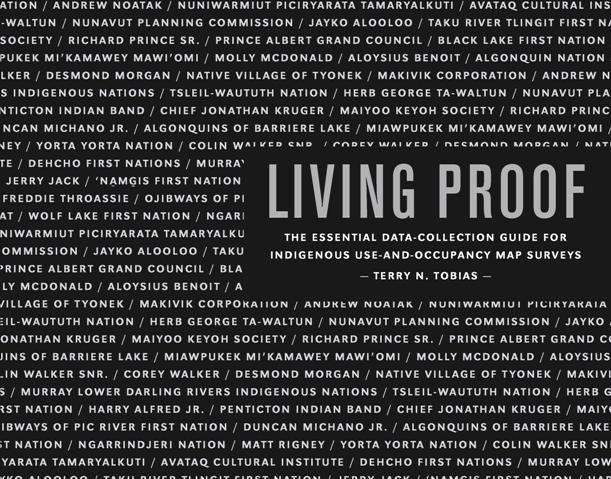 The Maiyoo Keyoh’s use and occupancy is so intensive, it was featured by Terry Tobias, in his book Living Proof. 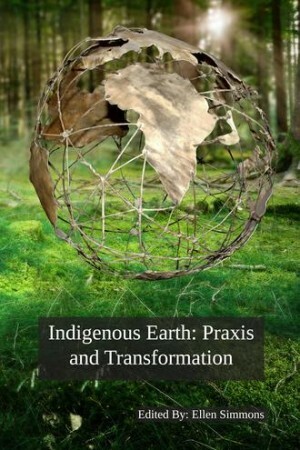 The book is a guide for Indigenous peoples, who are looking for ways to demonstrate their land use patterns, or indeed for anyone working within Indigenous territories. 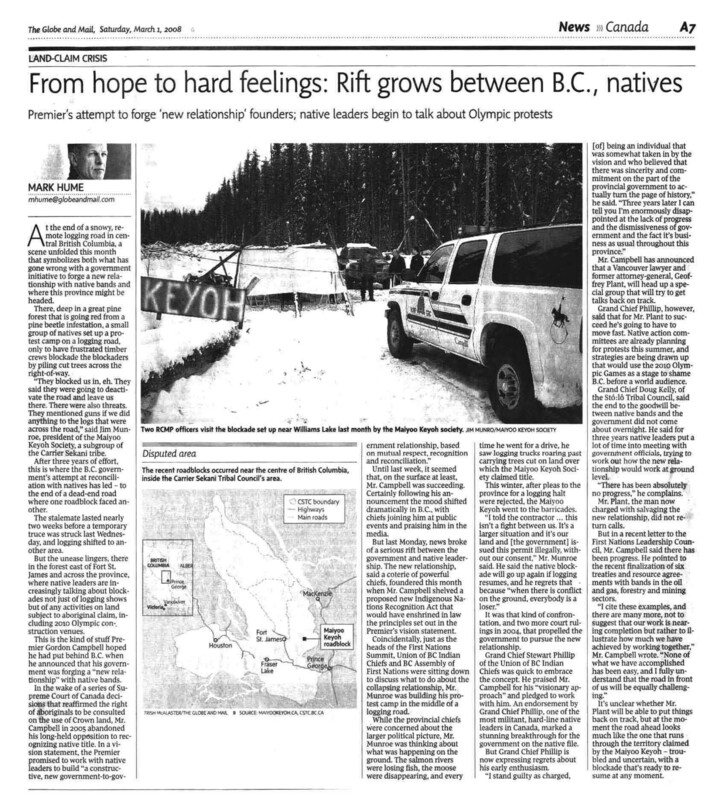 In January 2013, the Maiyoo Keyoh was featured in this book of essays. Joining the dots: developing methodologies of communication in environmental decision-making is one of 17 essays in this collection.